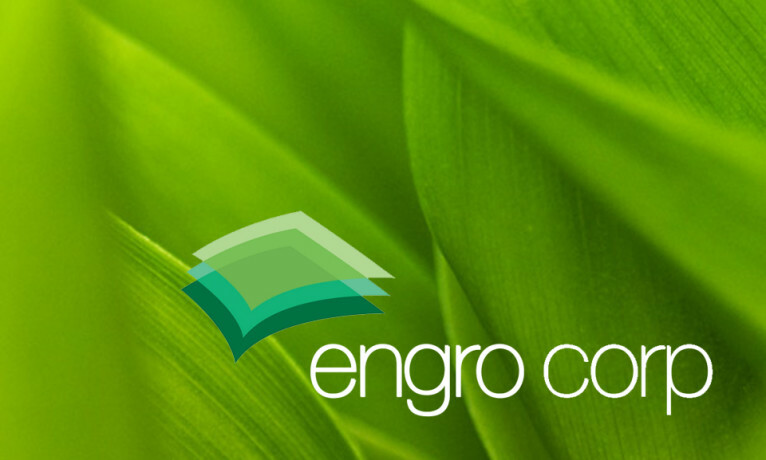 Engro Corporation Limited’s net profit decreased by more than 50 per cent during April-June quarter of 2016, according to a notification sent to the Pakistan Stock Exchange on Thursday. The company reported a profit of Rs 1.8 billion or Rs 3.49 per share for the quarter ended on June 30, down 58 per cent compared to Rs 4.37 billion or Rs 8.34 per share it earned during the same quarter of the previous year. The report also accompanied a dividend of Rs 7 per share. “The result was below our projected net profit after tax of Rs 3.28 billion (earning per share of Rs 6.26) with 107 base points deviation in gross margins and higher effective tax rate of 40 per cent against our estimated 32 per cent,” said Waqas Imdad Ali in AKD Securities’ report. Following the announcement of the result, the fertilizer’s share price depreciated by Rs 6.04 or 1.8 per cent to Rs 325.75 compared to Rs 331.79 per share of the previous day. In total 4.4 million shares of the company were traded on the result day. The fertilizer company reported revenues of Rs 33 billion during the second quarter of 2016, a decrease of 28 per cent compared to Rs 46 billion it earned in sales during the same quarter of last year. This downturn in earnings can be attributed to lower sales in Engro Corporation’s subsidiaries. Engro Fertilizer, Engro Foods, Engro Polymer and Chemicals and Engro Powergen Qadirpur sales went 40 per cent, 6 per cent, 10 per cent and 29 per cent down respectively, compared with last year’s sales in the first half of the calendar year. Decline in gross margins from 27.3 per cent to 26.1 per cent mainly driven by fertilizers businesses’ gross margins coming off by 5 points year on year to 31.7 per cent and higher effective tax rate of 32 per cent against 27 per cent last of year also played a role in the company’s declined earnings, said AKD Securities report. “Moreover, in the 2nd quarter of 2016 other income increased by 1.1 per cent YoY to Rs 1.56 billion on account of Rs 500 per bag subsidy on DAP,” said Ali.